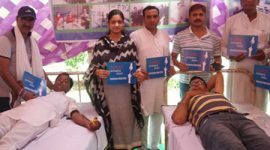 Sant Nirankari Charitable Foundation ( SNCF ) in continuation with its charitable activities under Heal category once again organized its Blood Donation and Eye Donation camp in Janak Puri, New Delhi on 30th July, 2017. The camp was inaugurated by Rev. Bindiya Chhabra Ji, Executive President, SNCF in the presence of Rev. Subhash Talus Ji, Compliance Officer, SNCF, HQ, New Delhi, Rev. Dharam Manik ji, Sector Incharge, Janak Puri Branch and Rev. Sanjay Sharma ji, Manager, SNCF, HQ, New Delhi. The team of doctors and Medical staff from All India Institute of Medical Science ( AIIMS ), New Delhi were present under the guidance of Dr. Naresh Arora, Coordinator, Medical, Health and Social Services, Sant Nirankari Mission. 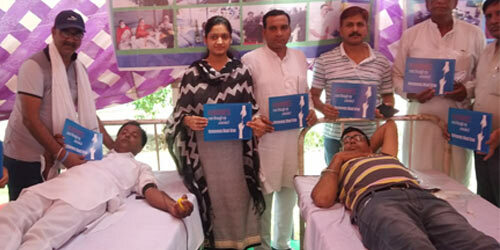 The event was well managed by both SNCF volunteers and Sewa Dal unit members collectively. The local saints of all the four branches, i.e. 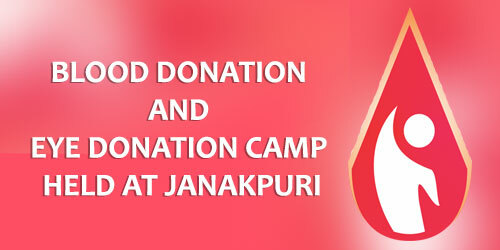 Hari Nagar, Janak Puri, Subhash Nagar and Rajouri Garden actively participated in the camp. 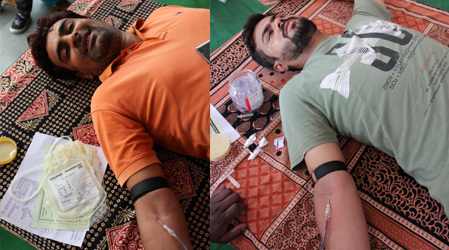 In total 110 units of blood were donated and 85 eye donors filled up their consent form. The event was covered by both electronic and print media.